Offering you a complete choice of products which include polyester strapping tool, battery operated strapping tool and pneumatic strapping tool. We have marked a distinct position in the market by providing Polyester Strapping Tool. This tool is manufactured by our professionals utilizing high grade component in compliance with international standards to ensure flawless at the user's end. The offered tool is rigorously tested on various parameters and available in different models. Also renowned clients can avail this product in various technical specifications and customized options to meet their exact requirements. 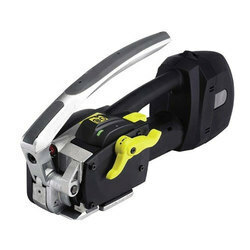 We are offering our patrons a wide range of Battery operated Automatic Pet/PP Strapping Tool. The offered automatic strapping tool is specifically designed by using of top-notch components and extremely up to date machinery in compliance to market quality standards. 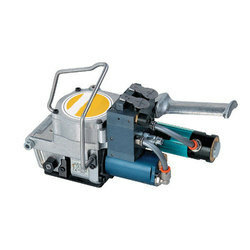 This automatic strapping tool is generally in the market for its exclusive quality. 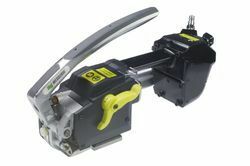 Moreover, we are presenting this automatic strapping tool in numerous correlated specifications at market leading prices. With an increase proportion of technology we are providing a qualitative assortment of Pneumatic Strapping Tool. The offered Strapping Tool is smoothly developed in our highly updated manufacturing unit by consuming finest quality basic material and leading technology in accordance with universal accepted standards under the supervision of our quality expert person. In addition, patrons can avail these strapping tools from us at very suitable prices.